In his TEDx Talk “The Myth of Average“, Todd Rose compares designing instructional materials for students to the Air Force’s individualized approach to designing cockpit seats. In theory, designing seats that accommodate an “average” pilot would have resulted in a seat that would be ideal for most people. However, the opposite proved to be true: in designing a seat for the “average” pilot, the Air Force was effectively designing a seat that was not ideal for anyone. Rose argues that the same principle holds true when designing instruction. When we design for the “average” student, we aren’t designing for any student. 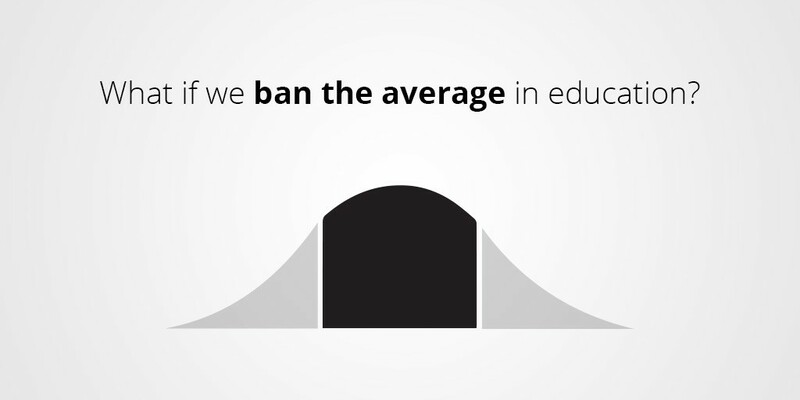 We are steadily moving away from the vision of the normal curve, where ‘average students’ can be counted upon to experience curriculum and to act in an ‘average’ way. We now know that variability is the rule both within and between all individuals. While each learner is different, researchers have identified patterns in the ways in which individuals learn. Optimizing the delivery of instruction for individual learners — those on the edge — ensures learning is meaningful for all students. When we vary the ways in which information is presented to students, create a range of opportunities for students to demonstrate their learning, and engage students in authentic learning experiences, we create multiple means of access to high levels of learning for ALL students.